2nd stage - see it breathing! As always it’s not hard to make bread, I didn’t even knead this one and just mixed the final dough with a metal spoon until no apparent grain of flour was seen (no knead dough?). All is the long fermentation period. This one has taken 5+18+4+1+1=29 hours from refreshing to out of oven. O yes, and another 1 day to let the crumb stabilize before cutting. It was an exciting moment.. 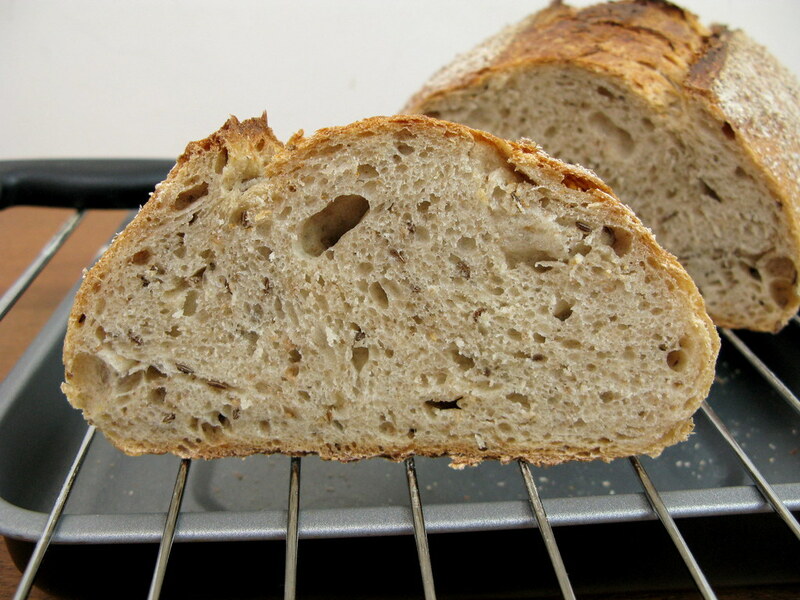 I once made the Vollkornbrot before which also needed to stabilize the crumb but the crumb just fell apart… Whew! Luckily this one was fine! 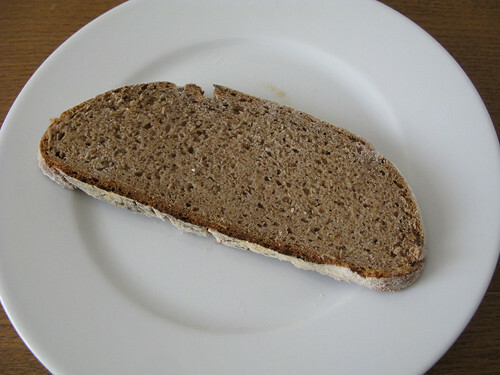 Limpa is a traditional Swedish rye bread. According to Peter Reinhart in The Bread Baker’s Apprentice, what makes it different from German and deli ryes is the use of aniseeds, fennel seeds, orange peel and a touch of cardamom. 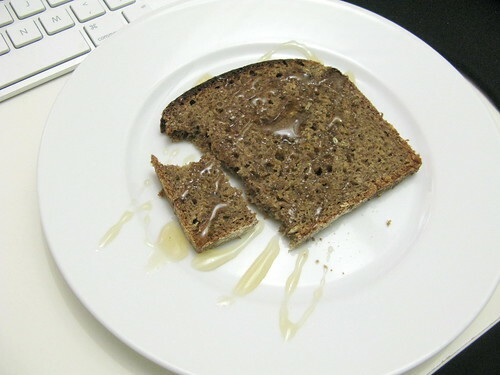 Recipe I used is from Reinhart’s another book Whole Grain Bread which fitted my schedule. 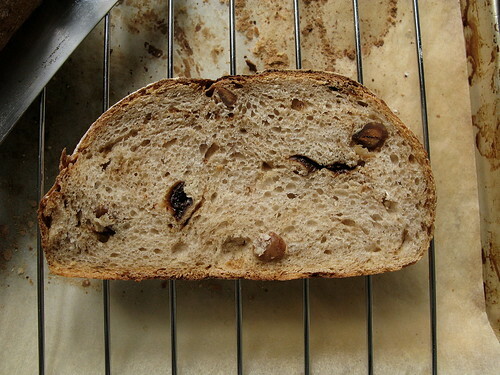 Besides the spices and citrus, Reinhart’s recipe also has an overnight soaker and rye starter. 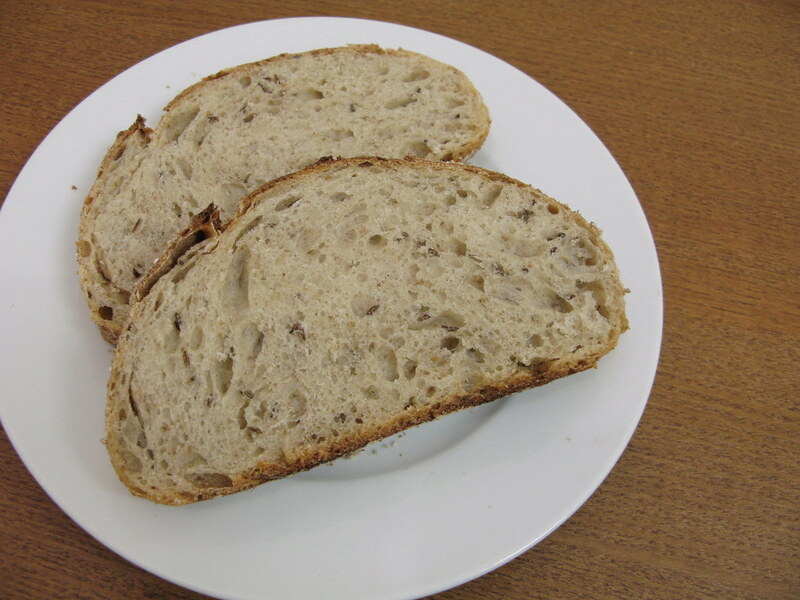 The bread is moist, rich and heavenly fragrant, and I love it so much! Some websites also mentioned Swedish Vört Limpa which is offered mainly in Christmas. 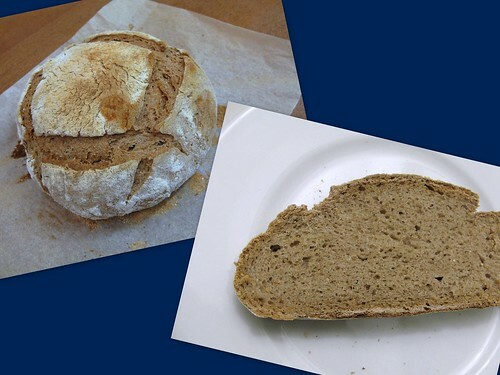 The difference is the addition of some malt to the dough. 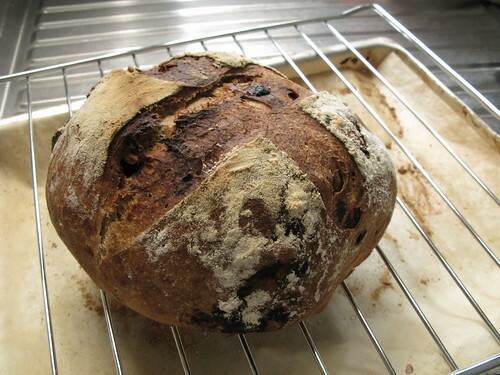 I think the taste of limpa is already a wonderful treat for the season, and not as sinful as stollen or panettone. I forgot adding salt to the dough of this bread, haha. This was until the dough doubled so quickly during 1st fermentation, I suddenly remembered it! So I kneaded the salt into the dough immediately, and that was the time I really understood how the salt could increase the dough elasticity. The dough without salt at the beginning was lack of gluten. I thought it was because of the rye and barley flour. However the gluten was much improved after I added the salt. Anyway, I let the dough rest for its final hour of fermentation. I’m not sure how this has affected my bread. As Dan has suggested in the recipe, I toasted the barley flour before preparing the dough. I really love the nutty smell of it. Mmmmm 🙂 Also a banneton is necessary for holding the dough in its final fermentation, as its strength is not as strong with the rye and barley flour in it. I could see “cracks” on the seam side after its final fermentation. I don’t have time to bake very often and there are a number of grains and seeds in my kitchen going to expire now. There is also a 2-day old rye sourdough in the fridge. It smelt very sour. Therefore I made this bread in an attempt to clear these stuff, and the result is not bad! 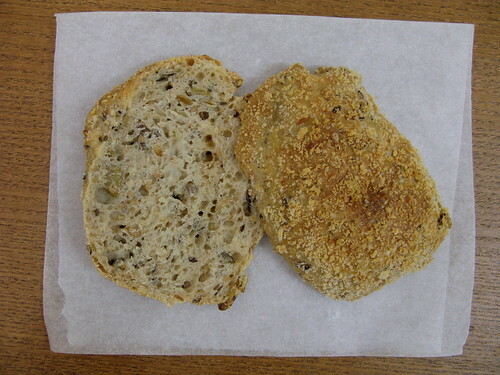 The bread contains a soaker with sesame seeds, rolled oats, linseed, semolina and sunflower seeds. 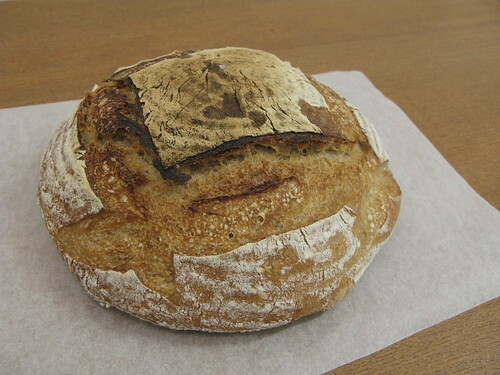 The soaker had a strong semolina flavor but the flavor was not noticable in the bread. 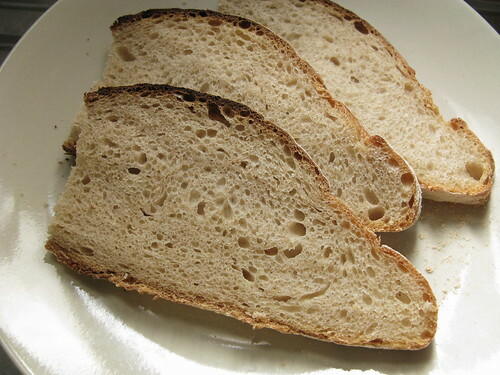 Instead the bread has a stronger sesame flavor especially in the crust. This is my light rye bread for the Mellow Bakers. 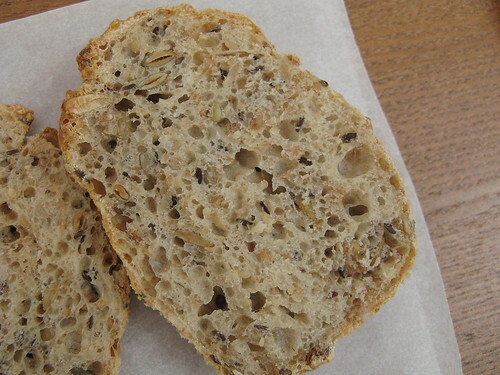 Some people do not like the caraway flavor in rye bread. 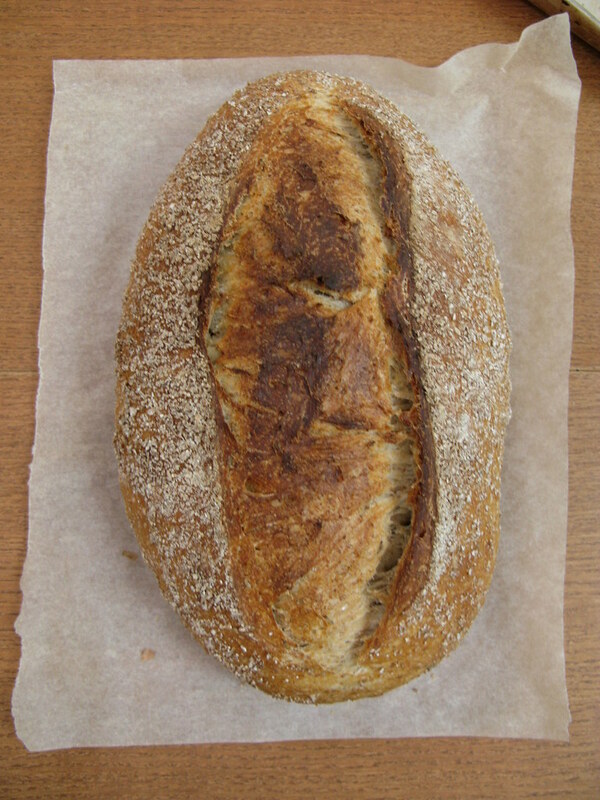 The caraway in this bread is light. In addition to the thin crust, soft crumb and mild sour flavor, this rye bread is an easy-going one. 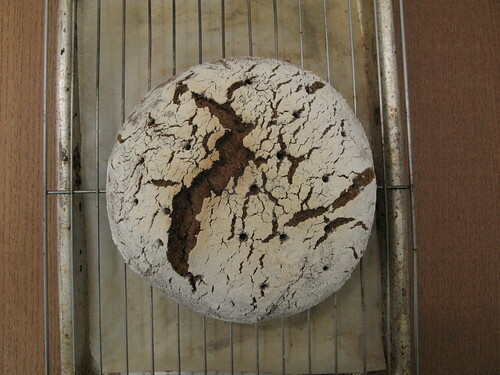 I could not find medium rye flour that the recipe called for. As a result I sifted half of the whole rye flour to substitute for the medium rye that the recipe suggested as an alternative, and saved the bran for the crust. Except this, the rest of the recipe was really easy to handle. I enjoy making bread for the Mellow Bakers. I hope I’ll have time to bake more soon! 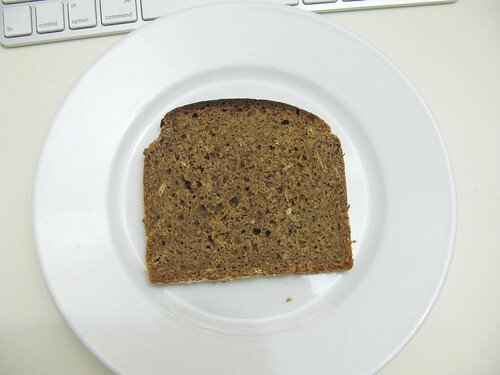 I love the taste of multi-grain bread. 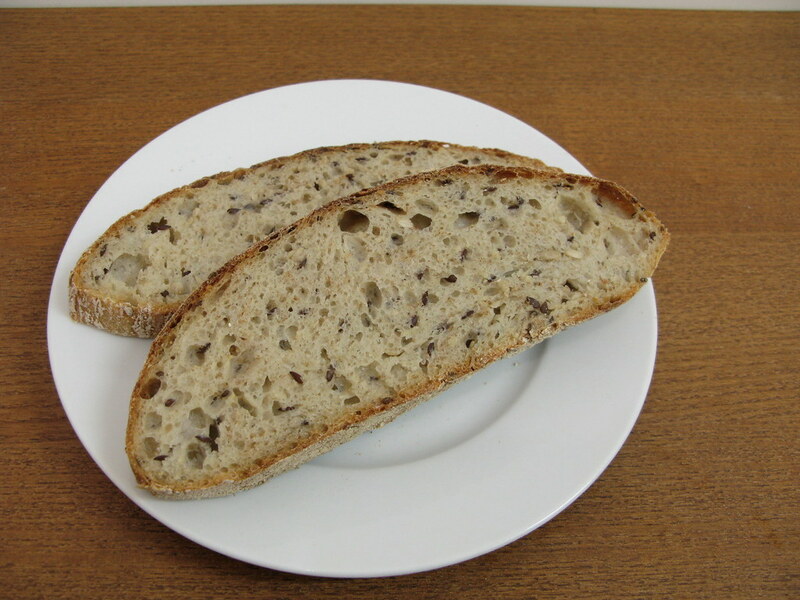 However it always comes with a dense crumb and I wondered whether there can be one with more opened texture. This bread is the right choice. Thanks Bäcker Süpke for the recipe! 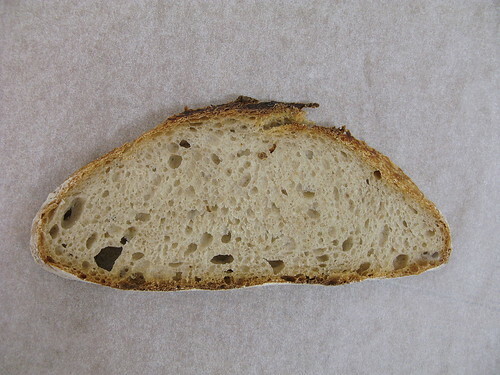 The yoghurt in this bread has created the soft and open crumb. A website said it acts like Vitamin C or absorbic acid to give a boost to the dough. The milk in the yogurt also extends shelf life. Notwithstanding, the crust is quite hard. Maybe it’s the bread crumbs on the crust and I will skip them next time! Pore water into the the salt and seeds. Mix, cover and wait for at least 4 hrs. Mix the ingredients. Cover and ferment at room temp. for 2 hrs. Put in fridge for at least 16 hrs. Slightly toast the seeds (can use other kinds of seeds). 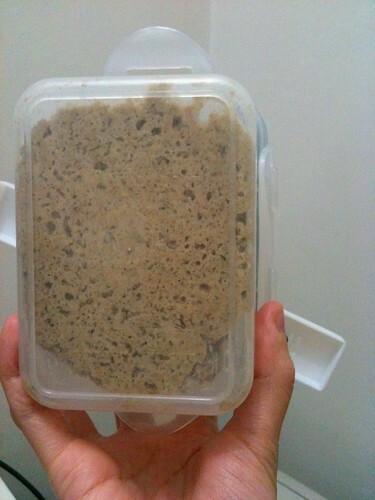 (Dan Lepard’s kneading method) Mix all the ingredients, cover and wait for 10 mins. On a slightly oiled surface, knead for 10 secs. Cover and wait for 10 mins. Knead for 10 secs again. Repeat the fermentation and kneading process for 2 more times. Then ferment for around 30 mins until the dough is about double in size. Cut the dough into squares (about 95g each). Moist the surface with water and roll onto some bread crumbs. Final fermenation for about 40 mins until almost double in size. 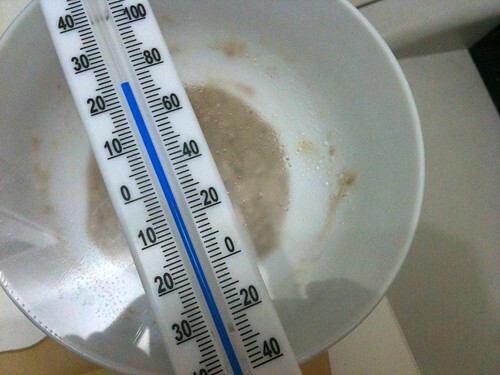 My baking temperature is 220c with steam for 30 mins. 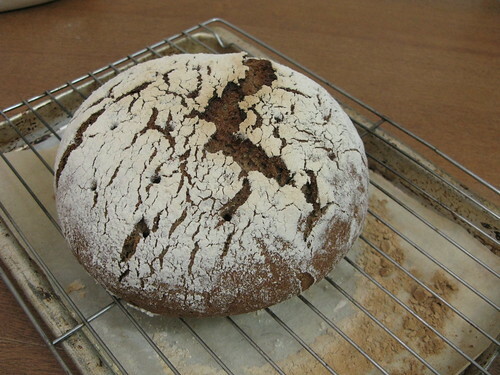 The recipe is from Jeffrey Hamelman’s “Bread”, my second time to bake the bread. It calls for both bread flour (I used King Arthur All Purpose Flour) and whole wheat flour. However I found out my whole wheat flour was expired just when I wanted to prepare the dough, hence I replaced it with Bob’s Red Mill’s Dark Rye (the other flour I only had).